The numbers of neglected children in San Antonio may live in the shadows of our society, but they are fully visible to their Creator in heaven. Durban LIV Executive Directors,gathered recently together in Africa. If you were to take all of the neglected children in Bexar County to the AT&T Center and give them a seat, they’d fill about a third of it. Anais Biera Miracle, Chief Public Relations Officer at The Children’s Shelter, says that in 2018, Bexar County confirmed 5,865 victims of child abuse and neglect. Averaged, that equals 16 cases every day of the year. Currently, about half of those go to a relative or another caregiver. But the other half – a little over 2,500 – are placed in foster care. “The demand for foster care grows in Bexar County,” says Anais. Help may be coming from an unlikely place: South Africa, where, according to the UNICEF website, 3.7 million orphans reside. Tich and Joan Smith are founders of the Lungisisa Indlela Village (LIV) in Durban, South Africa. They visited the United States last spring to share their vision. Their project is chronicled beautifully on YouTube’s “LIV Documentary Feb 2016.” It brims with innovation, joy and life. The video pans across a sprawling expanse of land where clusters of red houses – 96 in all – dot the green grass in Durban, South Africa. The camera follows the children alongside their “uncles and aunties” – and house mothers. All these specially vetted people dedicate their lives to raising former orphans. The camera follows the children to a room where the brothers and sisters receive top education and sports training. We then see little ones painting and playing together in another room. In another room the camera shows the LIV health care center which provides social services, health care and therapy. “At the center of it all,” the young narrator proclaims, “is the LIV church.” In this multi-purpose room, not one face in the church looks glum; every child and every adult is dressed in many colors and dancing. The camera then pans back outside – over local South Africans working hard in gardens. Then we pan back inside to see women sewing with machines, while the narrator explains how the center creates jobs for the locals. Mark and Veronica Lugo, founders of Mark Lugo Ministries, were captured immediately by the video. “It’s the six minutes that changed our lives forever,” says Veronica. 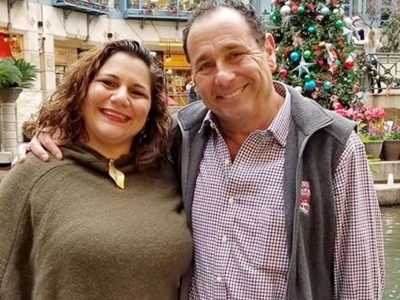 Mark and Veronica Lugo have been bringing the love of Christ to children and youth for almost two decades in the states and could not turn a deaf ear. “We knew because of our outreach ministry there were fosters and orphans out there, but we didn’t realize there was a crisis in San Antonio." LIV's children enjoy a little free time between classes and chores. Over a year ago, Mark and Veronica established Mark Lugo Ministries (MLM) as a nonprofit designed to bring San Antonio together to advocate for urban missions and reach the disadvantaged children and teens in our community. 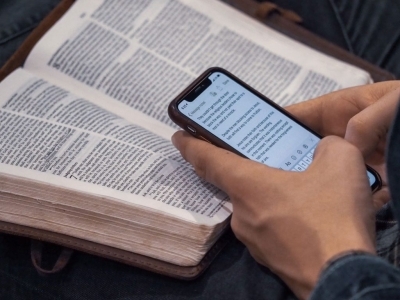 Through “Impact Radio,” which airs on KDRY AM 1100 Sundays at 2:30 p.m. and 10 p.m., they began highlighting San Antonio residents pursuing urban missionary work. Through it they met a multitude of people, interviewing government officials, professionals and ministry leaders. It all came together: MLM seemed like the perfect “horse” which could draw the “carriage” which carries the vision for a hopeful, innovative community called LIV San Antonio which will bring hope to our community’s abused and neglected children. “We prayed about it; we talked to Tich and Joan about it,” says Veronica. And that’s when the South Africans gave Mark and Veronica this advice: first, get an intercessory team together. Mark, Veronica and others have been praying ever since with a group at 7 a.m. on Mondays. Praying with them are their pastors, the Brannstroms, who remain spiritual mentors and have been given LIV San Antonio board positions. On August 26, 2018, Mark and Veronica were ordained, via video conference with Tich and Joan and some other spiritual leaders, including the Brannstroms – to open up a LIV village in San Antonio. Mark and Veronica and their two sons left for the LIV village over the 2018 Christmastime. They were all amazed at God’s works from the moment their travels began. First of all, says Mark, “We didn’t have enough money to go to South Africa.” But, remembering that faith and works go together, they began taking steps to travel. “And through that, it was like the floodgates just opened,” Veronica adds. Then, she says, “Everything else came in. 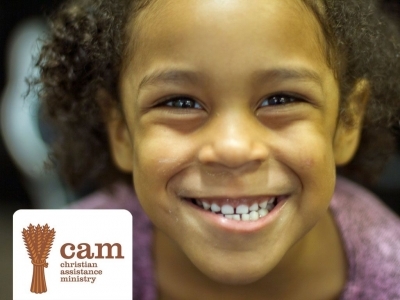 A majority of evangelical churches do not have organized, sustainable, intentional ministries aimed at making sure foster and orphan kids are nurtured. video about this amazing village. Mark’s vision for LIV San Antonio mirrors the South African model with its emphasis on providing security, unconditional love and holistic approaches, which will affect the next generation. They are praying and believing for a 100 acres of land on the south side of San Antonio. 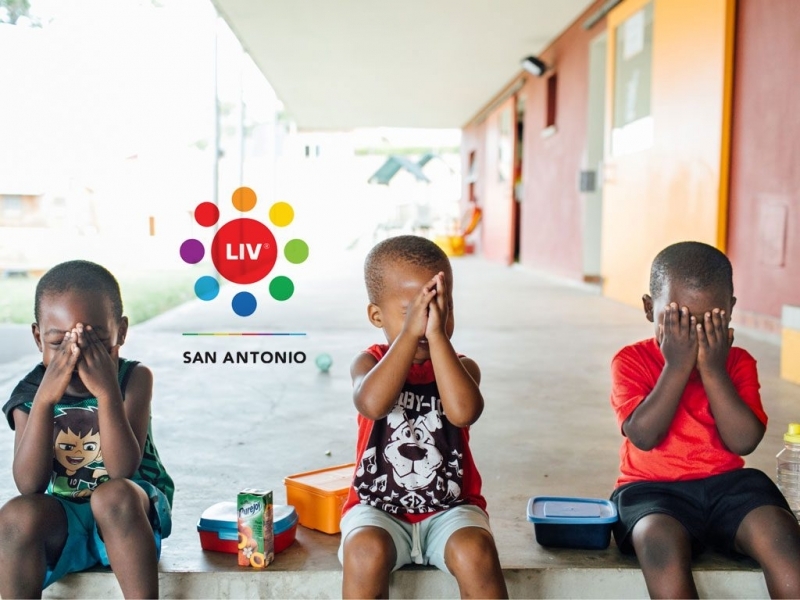 He is collaborating with the Texas Department of Family and Protective Services’ faith-based specialist, Hope Shelton, to learn how organizations like LIV San Antonio can provide for children in foster care, and has some classes scheduled to learn more. Children at LIV's ECD Center enjoy a little story time together. His hope: one day in San Antonio there will be kids who are no longer neglected but instead have a family from day one. All the children there would be able to attend classes at the LIV San Antonio school. He even foresees allowing the students to take advantage of broadcasting experience by using their radio platform and attending a performing arts center, playing sports and going to a trade school. He envisions a place where the children can receive special therapy through interventions like an equestrian center – and thrive from good food and excellent medical services. All of this would give them a future instead of feeling lost with no direction. All of it is a little daunting and only something God could accomplish. That’s the very reason Mark and Veronica are all in! “And that’s what we’re doing,” says Mark. Pray. Intercede, asking for guidance in translating South Africa’s pioneer vision to a workable LIV San Antonio. Give. Contact Mark and Veronica to set up a meeting to talk about this amazing vision. The greatest need now is land. Use the QR code above to donate. Checks to: LIV San Antonio; PayPal: www.marklugoministries.org/liv-san-antonio. All funds will be directed to the children. Learn. Visit the Facebook page or feel free to connect with Mark and Veronica to learn more and to catch the excitement for this vision. Host. Bring Mark and Veronica to your church, Sunday school class or small group to share. Savior Properties provides the BEST service and solutions to our clients and customers. When partnering with us for your real estate needs, you’re getting a professional who knows the market and will give you the information you need so you can make an informed decision independently. If we’ve done that, our job is complete and our mission is accomplished. We understand that life happens and some situations seem impossible to get out of. We want to give you the peace of mind knowing that whatever is stopping you from getting what you need or want will be handled by our experienced team of professionals.